Happy holidays to the people celebrating in San Diego! In other places in the country families are huddled up and cuddled down while sipping on hot cocoa and egg noggs. While that’s going on, here in San Diego, the beautiful winter weather is great for outdoor holiday activities. 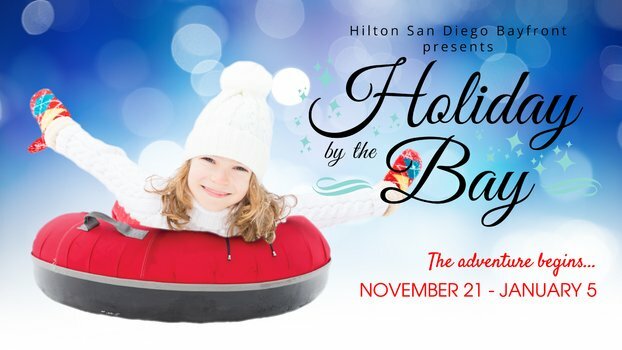 Round up the gang and the whole family and get ready for this year’s ultimate holiday destination in San Diego. Reindeer Run Ice Slide – A two-story ice tubing slide that’s 100 feet high. Iceberg Bumpers – Bumper cars on ice. Shine Light Show – An hourly interactive and dynamic light display. Santa’s Workshop – An arts and crafts workshop. Claus Kitchen – Cookie decorating event. Yule Lodge – Festive craft cocktails for the adults. Elven Eatery and Kringle Bakery – A holiday dining experience with festive meals and pastries. Fireside Lounge – A private area where you and the family can toast some s’mores and sip on hot cocoa. All these await you and your family on select nights through January 5, 2019. Don’t miss the chance to go on exhilarating rides. Marvel at the wonders presented through the dynamic light show. Make memories by taking part in fun craft and decorating activities with your kids. Drink the night away with friends at the Yule Lodge to raise the holiday spirit. Don’t forget to bring your cameras and immortalize this experience in photos. Bring your kids or bring out the kid inside you. Rediscover the true meaning and magic of Christmas in this holiday celebration like no other.